The Palace on Wheels is one of the world’s best luxurious trains. The Royal travelers experience heavenly ambience being served Royalty with most modern facilities in the carriages. The travelers onboard the Palace on Wheels experience the best week of their entire lifetime. Apart from the warm hospitality the itinerary is so carefully done keeping the best sites in mind for sightseeing. Tour some of the world’s historical monuments and UNESCO Heritage Sites too. There are several tiger sanctuaries and bird sanctuaries to spot an endangered species. Calm and picturesque lake waters will give your soul a well deserved tranquil time. 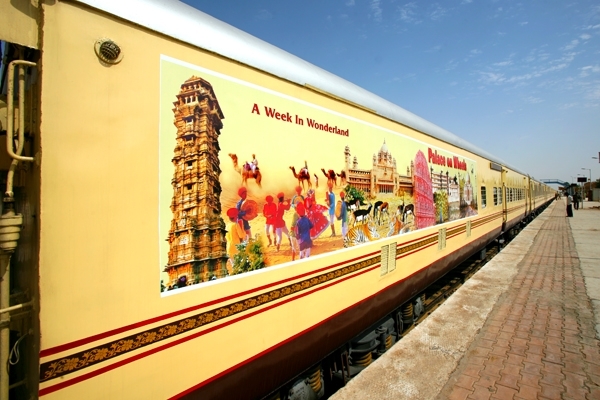 It is time to know in more detail about the Wonders of India to explore with Palace on Wheels. Jaipur, the capital city of Rajasthan is known as the Pink City. The name is due to the color tint in the structure building material. It is also said that when a foreign dignitary visited India during the British Raj, the city was given a Pink coating. The legends can get left behind but the forts and palaces continue to steal the hearts of many tourists from all over the world. The ancient structures display the architectural brilliance of the Rajput and Mughal Era. Get to see the Sun Observatory, a giant astronomical instrument in the size of a monument. Built by a then ruler to observe celestial movement this is a must visit UNESCO world heritage site. 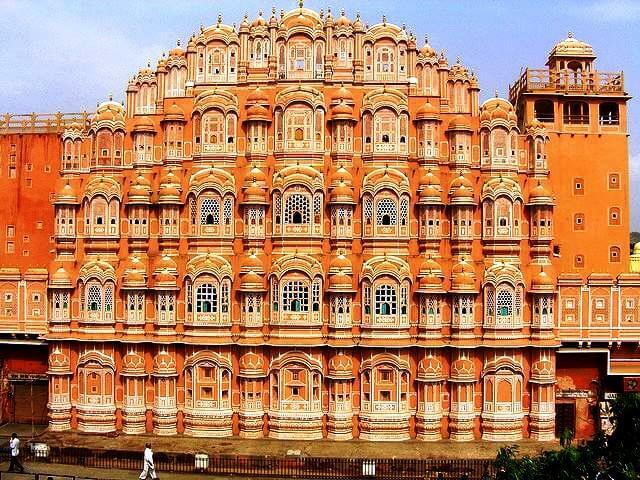 Check out the strong winds and amazing view from atop the Palace of Winds or Hawa Mahal. The latticed wood work windows allows you cool breeze during hottest summers. Other magnificent sites include the Amber Fort on a hilltop. You can have a Royal luncheon at a restaurant in the 1135 AD premises. 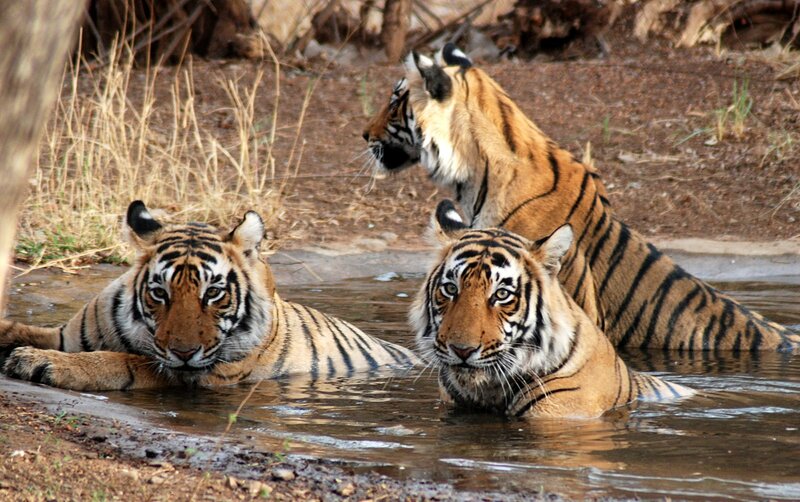 Ranthambhore Tiger Reserve is a world famous National Park with rare tiger breeds. Spot a White Tiger/ Bengal Tiger early at sunrise. This wildlife park also is home to marsh crocodiles, pythons and sloth bear. The Chittorgarh Fort is one of the largest in the country situated high on a rock hill. Enjoy the amazing display of illumination at the sounds and lights Program organized within the premises of the fort. The luxury train then takes you to see another marvel of India’s heritage called City Palace. You may enjoy exciting boat rides after which lunch is served at a Palace Hotel. 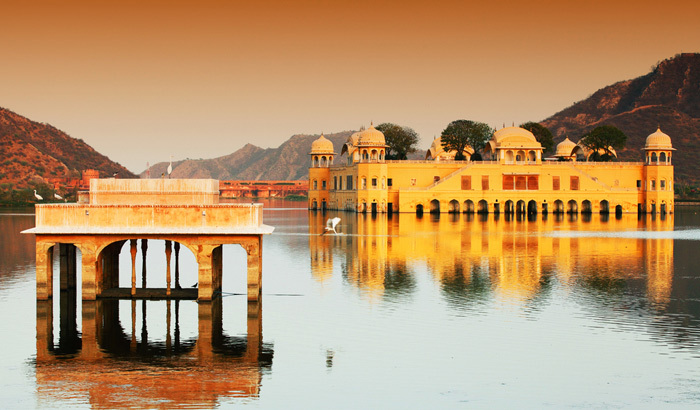 The Lake Pichola is a picture perfect water body among others in the city of lakes, Udaipur. Jaisalmar is one of the most beautiful cities in Rajasthan. It is famous for the magnificent Jaisalmar Fort recognized as a UNESCO World Heritage Site. You can walk in the hot noon admiring this gigantic structure that reflects the sun to give a glorious glow. Visit the fifteenth century Jain Temples with exquisite carvings and manuscripts. There are exciting activities too like camel joyrides at the famous Sam Sand Dunes of the world famous Than Desert and a Sunday evening photo -shoot. The last UNESCO World Heritage Site Agra Fort on the itinerary marks the end of ancient wonders on the Palace on Wheels luxury journey. Lastly there is a white marble structure showcasing Mughal talent especially for the romantic couples. This is undoubtedly the Seven Wonders of the World – the majestic Taj Mahal. The sight of this Mughal marvel will certainly leave you awe- struck. Overnight onboard you then go to the Palace on Wheels Luxury Journey disembarking site. Previous article Time For A Spa-Zation: Take Your Pick from These Amazing Wellness Retreats In India!